Shargottite Sayh al Uhaymir 008 meteorite. 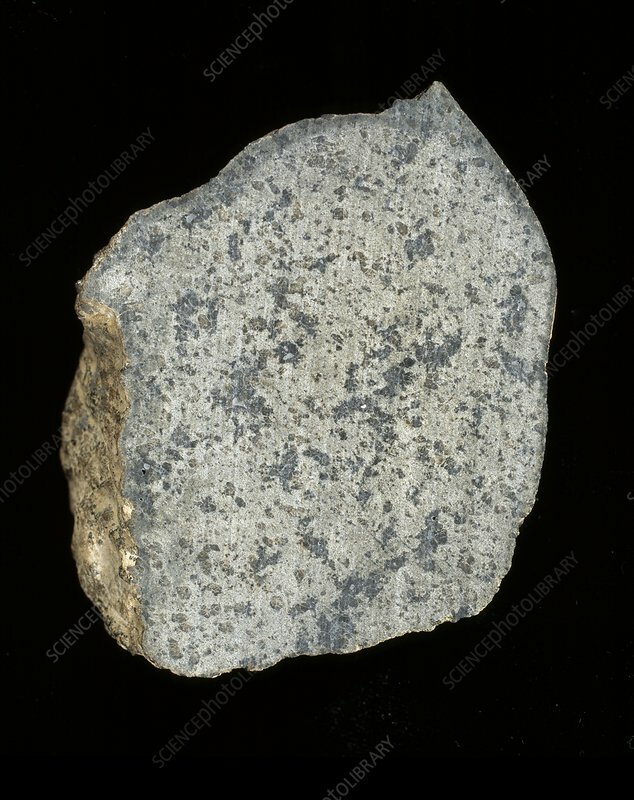 This meteorite was found in Oman in 1999. This specimen is about 10 centimetres long. It is a stony meteorite thought to come from Mars.